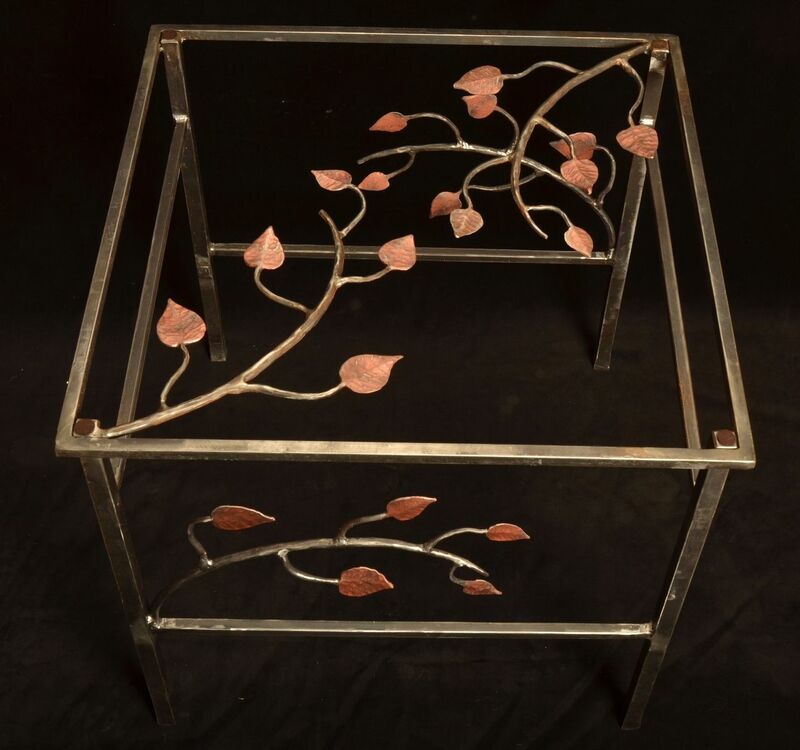 hand forged leaf table with copper patina leaves. solid metal. glass top.